Courtesy of Keller Williams Realty, Jordan Bennett. 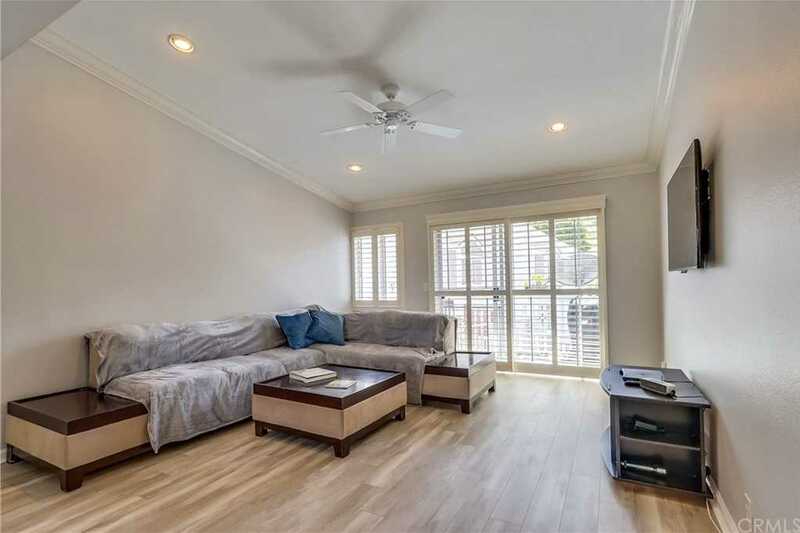 Beautifully updated Cape Code style home, ideally located in the highly desirable Beacon Hill Terrace community just minutes from local beaches, with recent improvements and upgrades, this home is a MUST SEE! This upper unit boasts a single level, well-designed floor plan and an abundance of charm. Some of the many fine features include sleek new wood laminate floors throughout, new interior paint, high ceilings, new ceiling fans, recessed lighting, crown molding, plantation shutters, an indoor laundry area, and custom closet organizers. The light and bright kitchen is perfect for any home chef with an abundance of cabinet and counter space and a sunny breakfast nook. The bathroom has been updated with a gorgeous cabinetry, tiled vanity with custom tile features, updated sink, updated faucets and fixtures, framed vanity mirror, and updated lighting. The outside balcony includes a convenient storage closet and is the perfect place to enjoy your morning coffee or just relaxing in the great OC weather and cool ocean breezes. Well-maintained community, plenty of parking, resort like community amenities, 3 community pool and spas, 6 lighted tennis courts, picnic & BBQ areas, playgrounds, and sports fields. Numerous Hiking and Biking trails on nearby Salt Creek Trail, close to family friendly parks & Dog park, close to Ocean Ranch Center, Starbucks, Luxury Theaters, Dining, Entertainment, Dana Point Harbor, and more. 1 assigned parking space, NO gas or water bills! Please, send me more information on this property: MLS# OC19074608 – $399,900 – 5 Terrace Circle, Laguna Niguel, CA 92677. I would like to schedule a showing appointment for this property: MLS# OC19074608 – $399,900 – 5 Terrace Circle, Laguna Niguel, CA 92677.